ACS Overhead Doors LLC is here to serve as your source for the best garage door services across Bell County and beyond. Our Texas-based overhead door company has the experience, equipment, and high-quality training to ensure that your home or business’ needs are addressed in an honest, efficient manner. Since the beginning, our garage door company has focused on delivering safe outcomes and superior peace of mind for homeowners. No matter what your residential garage door needs may be, ACS is here and happy to help. We can work with you to find the right plan for delivering the best garage door services to meet your safety needs and budget, delivering complete support and peace of mind every step of the way. Read about our list of services below, and be sure to contact our garage repair pros for complete service! 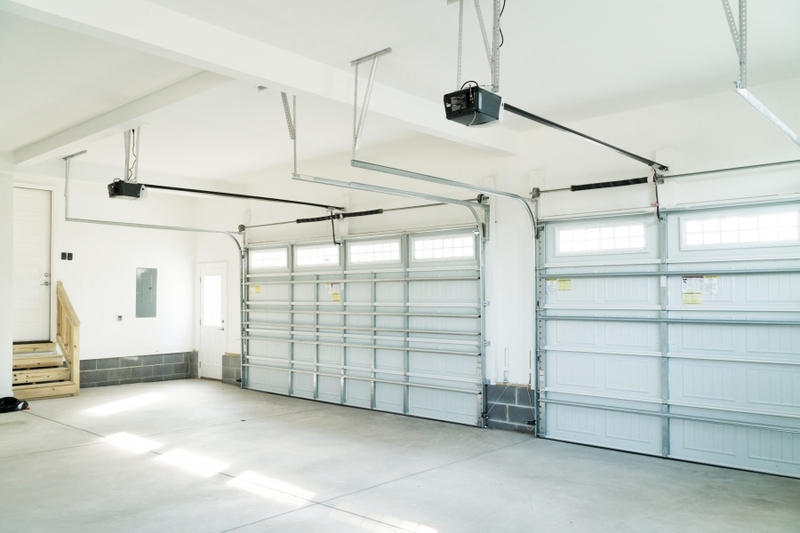 ACS Overhead Doors LLC can also deliver exceptional outcomes for commercial garage door needs. Our team has years of experience in the industry, providing considerable value for businesses expecting the best. We can create a personalized plan for your commercial garage doors, including repairs, inspections, and ongoing maintenance for the best results. If you rely on your overhead door for business, we recommend scheduling twice-yearly maintenance for long-lasting results! Do you have home link in your vehicle? Technology has helped to make opening and closing your garage door easier than ever, and now users can rely on HomeLink® for the best results. This wireless garage door opener is built into your vehicle, ensuring you have access to your home anytime with the click of a button. No matter your commercial or residential garage door needs, the ACS team is here and happy to help! Our team takes pride in delivering the best outcome for every job, and our comprehensive list of garage door services ensures that you are satisfied with the results. One service that helps to elevate us above other garage door companies across Texas is installation and maintenance of Lifestyle® garage door screens. These modern elements function similarly to your existing your garage door, except now sunlight and fresh air are available en masse. Lifestyle garage screens create a sturdy barrier between your garage and the outside world, creating an ideal situation for pets and children. Featuring a wide screen with a door built into the middle, homeowners can maximize their sunshine while enjoying the outdoors. These garage door screens are also perfect for hosting an event, increasing privacy during outside time, and can be used to increase the living space of your floor plan. As a certified retailer, ACS Overhead Doors is able to provide the best outcome for homeowners in need of garage screens across Central Texas. You’re sure to be happy with the results! Contact us today to learn more about our services, and be sure to schedule your services with our local garage door company for the best results!